The lower back does it consist from interconnecting bones, joints, nerves, ligaments and muscles. All of these work together to provide support, strength and flexibility. Nevertheless, injuries easily can happen in spite of the anatomical good structure of the area. Low back pain is a common symptom within the population. Back pain up to 85% of the population at some time of their lives but nearly the 50% will have at least one recurrent episode. 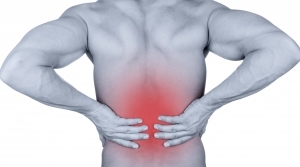 What Causes Common Lower Back Injuries? Lower Back Pain is a very common symptom that affect all men’s ages. The pain can separate in two large categories depending on the time period that the pain symptom persists. These are chronic and acute. Acute is the kind of pain that lasts for less than three months. Chronic is the pain that exists for more than three months. Acute pain is mostly impulsive of onrush and it is usually triggered by a relatively minor movement such as bending to pick up an object. This extraneous incident may be more indicative of fatigue than tissue overload. The formation of the inflammation will probably increas the pain in the next few hours. The pain is usually in the lower lumbar area and may be central, bilateral or unilateral. It may radiate to the buttocks, hamstrings or lower leg. Sharp, lancinating pain in the narrow band down the leg is radicular pain and is associated with nerve root irritation, commonly as a result of interveretebral disk prolapse. Chronic pain in the low back often indicates a disc problem, a joint problem, and/or an irritated nerve root. Common causes include: Lumbar herniated disc, degenerative disc disease, Facet joint dysfunction, spinal stenosis, spondylolisthesis, osteoarthritis etc. Overall, physiotherapy helps many people who suffer from pain in the lower back and the results are obvious from the first session.